The Positive Thread - What Happened That was GOOD Today? My MIL told us this weekend that she's retiring from work on November 30th this year, we were not thinking that it would be for a few more years. I'm doing a happy dance cause now she wants to walk my son to and back from school most days this winter. Now I don't have to years up the kids every day when it's frezzing cold and below 20 celsius. Daycare family is moving away at the end of this school year and mom has started packing up the house and donated tons of toys to us and is bringing them a little at a time as she sorts through them. Today we got another box and brought them in at pick up. Another mom saw them sitting on the counter and asked what they were for. I told her a family had donated them and she replies “do you want mine too? My kids have too much stuff” ... why yes, we love “new” toys, bring them over!! Not daycare related but I had my first ultrasound this morning and baby is perfect! Measuring 9w6d (exactly where it should be) heartbeat 165 got to see it wiggling around which was super cute. Now I can relax a bit and start getting excited! Assumed it was going to be a rough sugar hangover day, especially since 2 of them stayed out until 9:30 last night. They were all very good and are all sleeping like little angels right now. AND I took all the Halloween decos down before they came this a.m. and it no longer looks like the Dollar store in here. I was exhausted this morning and dreading having all the littles all day. My mom surprised me and came and helped out for 2 hours. One child, who was supposed to arrive at 8:30 got held up at a doctors appt and didn't arrive until noon where she quickly ate lunch then took a 3.5hr nap! It ended up being a much smoother, easier day than I'd expected which was awesome! Today is my last day of daycare, then I am off for the remainder if Wedding Week, and through Thanksgiving! I hope the day goes fast for you! I am sure the wedding will be beautiful! Thank you BC! We are having a laid back, fun kind of day. Hanging out, snuggling, watching Cars, and chocolate chip cookies for snack! Got a kitten this weekend from a local shelter. My boys love it and the dk kids do to. I HAD everything updated through the last week of October. Trying to stay on top of things and I went to update what we’ve had of November yesterday and my laptop won’t even turn on! Of course I didn’t back it up.. at least I’m 90% sure I didn’t but there is a slight chance at least some of it is on a pendrive but I can’t turn my computer on to check it. Meal counts, hours open, daycare items purchased.. every single thing was updated! I hope the computer guy can get it fixed. I have the paper copies if he can’t but man that’s a lot of work to have it all typed up. Hoping it’ll turn it alright, at least I have the paper copies of it isn’t. Schools are out today for thanksgiving break. I reluctantly took on two school aged older siblings of two of my currently enrolled day care families. The 5 year old was one that I had a very rough summer with before K. I was very worried about how the day was going to go and it turns out he grew up a little over the last 3 months. Also he’s napping which I didn’t think he would as naps aren’t part of K here anymore. The morning went so well! My niece is also out today so that might have something to do with it.. haha. Everyone asleep except older dcg. Afternoon will consist of our thanksgiving craft and doughnuts for snack courtesy of dcb1’s mom for his daycare birthday treat. Happy 4 day weekend!! Been a long week, must be coming back from a 3 day week. TGIF everybody!!! I've got this little guy, 2 years old and he got his tubes placed on Monday. He comes back yesterday and is already talking to much more. Such a night and day difference. Better listening ears and is an active participant in group time. I think I am going to try and get him to say "I love you mom" today so when mom picks up, she will hear it. My daughter got tubes at about the same age and it was such a difference with her speech but the two best things that could have come of it was the first time she danced to music and the first time she said "I love you momma". Brings tears just remembering it. Have a splendid day every! Dcg was a preemie. 3 lbs at birth, on oxygen and feeding tube. Always below the charts weight/height wise. She was delayed on her 3, 6, and 9 month assessments. Had almost caught up at her 1 yr assessment and was 5th percentile. 15 month assessment she was caught up developmentally and up to 10th percentile. All that to say at 18 months she is ahead developmentally and solidly on the charts in the 25th percentile. I've had her since she was 3 months old (by birthdate, adjusted she was 6 weeks.) It's so cool to see the progress she's made! I have a former preemie in care, and at 2.5 she's a whopping 20lbs. Eats like a HORSE though. I didn't know there was a scare, but congratulations for you! Thank you. I had come to post when I was told I needed one, but saw your post. Christmas party over and done today! Now to make it till Dec. 21, my last day till Jan 4. Should have smaller load next week. I made and canned four jars of dill pickles yesterday to give as Christmas presents! Only 8 more jars to go! Filled my 2 spots parent gave notice earlier this month for 2 kids for Christmas) today with kids that come in March. One was going to start next September when I had room but now they are starting now. The older one is 3 and was in my care before the younger one his brother who will be 1 then (mom's been on mat leave). The 3 year old will leave in Sept but I'll have a baby opening then cause another one ages up so it will be easy to fill. I will be empty for a bit but this way I can fill the 2 + spot. I'm picking up my dd in 4 hours at the bus stop!!! And she's home for 10 days. I haven't seen her since July. I just got an unexpected delivery from the Clinique fairy. Order was canceled/refunded due to availability but a couple nice gift sets came (with full sized eyeliners! ), anyway. The lotion and body wash smell amazing. I love them. Such a sweet little guy! I had only planned to take Monday off for the holiday, but I ended up with Friday off (no kids), Monday (Holiday), Tuesday (no kids again) and today (power was out this am and it's in the negative digits temp-wise, but still ). TBH I'm getting a little bored. There's only so much I can find to do around here . I am off till Jan. 4. Nothing calling my name except pajamas, coffee, and some Law & Order SVU. AND my sons in and out from hunting wanting something to eat! Loving every minute of it Taking a short trip Friday thru Monday then might step foot in the daycare room to change out some things....but not till at least Tuesday. Love me some VACATION TIME! I have a dcg in my care, 19 months old. I've had her since 3 months. She is the sweetest, funniest thing ever. Just full of life. Today I just wanted to write about how thankful I am for her I surely do enough complaining about behaviors and such. First day back since Dec. 22. Only have half of my crew but they have been AWESOME! I think they needed the break, too. I did not earn the butter cream filled pizzelles this afternoon, but I ate them anyway. I only had my 1 sweet little 16 mo until noon today. We had the whole morning to just us. I let her do all kinds of things that I usually don't have the time to actually let her do as much as I should. I put a smock on her, sat her at the big kid table, gave her a paint brush, some paint(and paper of course) and let her just go to it. She turned to look at me like she was the biggest cheese ever. Then I found this 2" high wooden box so she could stand by the window herself and watch the birds, without needing my help(she loves her independence Lol). I love it when they're so little that the simple things make their day. Sometimes I wish they'd never turn into those 'I'm bored unless my eyes are super-glued to my iphone' kind of kids. It’s a snow day today! I live in the south so anytime there’s any ice or snow everything shuts down. I am officially open but every dck is out because of the weather today! I’ve had a brutal week with a screaming baby and this paid day off is exactly what I needed! Today is the first day this week that all my children scheduled are actually in attendance!! There’s been so many different illinesses going around town. It is so nice to be back to our normal routine. I am not a regular football fan but I follow scores etc on a light level....just enough to know what's going on. SUPER proud to be a Viking!!! Go Vikings!! 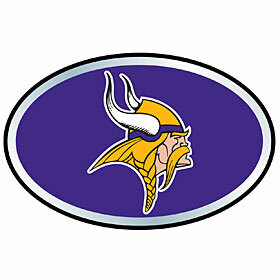 I am a die hard Packer fan but I grew up with a best friend that was a Viking fan. I was cheering for them from the get go yesterday.. no one else in my house was but that game was amazing! What a finish! I also think it would be cool for them to play the super bowl in their home stadium.. that’s never happened before! Someone did a really thoughtful thing for me today, completely out of the blue! I hope they realize their act of kindness was much appreciated! That is awesome! You deserve it! That's not very common, but sure is great when it happens. We are having a new stove (for heat not cooking) installed downstairs today which mean DC has been upstairs all day, which we never go upstairs. Has been lots of crazy, especially since there's been a large amount of noise. As nap time started it sounded they were jackhammering inside the chimney. With all that, all the kids are napping. The baby was fighting it so I put on a movie and am holding him while he sleeps (against every personal nap rule I have). I haven't just sat down and held a sleeping baby and watched a movie in forever. Soooo relaxing. Re: holding a sleeping baby....I felt guilty every single time I held my 16 mo sleeping dcg when she was a baby because...well, ya just don't do that, right? But she is THE best sleeper now. I did it for a couple months. Not daycare related, but my son was put on an IEP for reading last year. His teacher emailed me earlier that he stayed in the classroom for his math test today and scored a 91% without any modifications or extra help! I'm so proud of him! Or has something terribly devious planned. Gotta love 'em. First they drive you crazy, then they say something like that. I was talking to my husband about the lack of good quad strollers for non-paved roads. We live on a gravel road and have a very large yard so I need more of an offroad stroller. My double jogging stroller is great but I am gaining little ones and it's not big enough. He is going to modify a quad for me to add pneumatic wheels. I am so excited! I'm clocking out at noon today! DH and I are heading to a concert (who has a concert on a week night right?!?) and I will be off from noon today until noon tomorrow!!! Excited to "get away" for a little while.... it's been a rough couple of months. Have a wonderful time, you deserve it!! I am letting my fussy baby go. Mom was understanding and we will work together until she finds a replacement or her family can help. I feel so much better. My high needs dcb didn’t come today and my stress level has gone way, way down because of it. The kiddos who are here have had so much fun and played so well together. Added bonus that it’s a gloomy, rainy day outside so all the kiddos are napping so well and I’m actually getting a real break for a change! It’s amazing what one less child can do for the group atmosphere. 2 kiddos are getting picked up by 3 today instead of 545!! It’s the small things that make me happy!! A successful nap mat transition appears to have happened this week. Is is 55° here today. We spent an hour outside this morning, and as soon as the baby is picked up (in the next 20 minutes), we will be going back out until pick-up! I hesitantly served rice to 4 kids 2 and under at lunch today, totally expecting to be vacuuming rice off the floor for the rest of the afternoon. I am pleased to report that even the baby didn't throw any rice on the floor, and there was very little mess on the table too. It's the little things that make our days bright. To make, melt 2 oz white chocolate chunks into a small mixing bowl and allow to cool. Cut up fresh strawberries. Whisk 3 oz whipped cream with 2 tbsp confectioners’ sugar until thick. Stir in 1 oz Baileys Strawberries & Cream. In a separate bowl, beat 3.5 oz cream cheese, 2 tbsp confectioners’ sugar, and 1 oz Baileys Strawberries & Cream until smooth. Add in the melted white chocolate and beat again to combine. Add 7 oz fresh cut strawberries and stir with a spoon. Dividing all ingredients into 2 glasses, place 1/4 cup crushed biscuits into the bases of the glasses and sprinkle .5 oz Baileys Strawberries & Cream on top. Add half of whipped cream, sliced strawberries, and half of cream cheese mix. Repeat these layers again using remaining ingredients. Garnish with cut strawberries. Refrigerate for 2 hours before serving. Termed family today. I think it went well. Either way, I'm DONE!!!! I’m still relatively new to the childcare business but I have 2 interviews next week that we’re referrals from my families currently in care. Very excited and reassured me that maybe I am doing a good thing. Sometimes I get too hard on myself. I've been working with dcb for about 2 months on not tattling. I often ask "Are you telling me this to keep Susie safe or to get her in trouble?" Or I respond, "Whose job is it to take care of that?" He'll say "your job" & then follow it with a "but" & continue tattling. Today he said, "Susie's not eating her food." I said, "Whose job is it to make sure Susie eats?" Dcb said, "Susie's." Yes! And whose job is it to make sure dcb eats? He says, "Mine!" Yes! Great job! You've got it dude, now do your job!" He went back to eating w/o another word & so far hasn't tattled all morning. I think he might finally have made the connection!!! Also my kids entertained themselves with art supplies for about 2 hrs today! Happily crafting away! Not daycare related, but as I was carrying laundry to the washer this morning my ds3 stopped playing and says "Mommy, thank you for washing my polar bear jammies. You're the best mommy ever." Had the day off today. Although I’m losing out on money, it was nice to have lunch with my son and take him to play. We also have Wednesday off and I’m very much looking forward to it already! I'm off at 3:00 today, DH and I are heading out of town for a concert and will be back on Thursday. have fun! I am taking thurs and fri off next week for Spring Break with my sons. Yay for those little vacations! We are off to see STYX and REO Speedwagon! Last week I informed parents we would be going "back to basics" for the next couple of weeks to get everyone back on the same daily routine. One mom was super skeptical about it, sure their child was not ready for a set schedule. Today DCM came in so excited that her child slept through the night for the first time in a long time. She conceded that this stricter schedule was what her child needed to fall I to a routine at home too. It is always so nice when a parent is able to see that I am acting in the best interest of their child when I set rules and routines. Ummm, we have more mud? Trying to find the good things. Hey, it's making the dcks happy and I just look the other way. I am off tomorrow and all next week. We are going away as a family (overnight) during the break and I'm so happy. We need that time! I pretty much have my resume, cover letters, applications and certificates ready to go. We are leaving for a cruise on Sunday. After today I have the next 10 days off, thank god! We are taking a cruise in June so let me know your best tips and tricks when you get back. Guys I have the best dcm ever. I totally messed up the dates I was closed. She paid the full amount this week and I wasn't charging for this closure so I messaged her and let her know to credit Next Week. She thought the closure was next Monday and I realized that was the date I told her! But it's not Monday, it's this Thursday and it's two appointments an hour away that would be near impossible to reschedule. I felt awful. But guys, she wasn't mad at all! She was just like hey this stuff happens, no big deal, found coverage already and is all set. I am incredibly thankful for her. I still can't believe I messed this up but man, had this happened this time last year I can't begin to tell you the problems and drama this would have caused. It’s snowing.. not much probably 1-2 inches and expected to stop in about 3 hours but noooo it was almost all gone!! Bright side maybe drop in care at the center will be dead? I was already hoping it would be as it’s the day before Easter and their are no classes this week (connected to a ymca, think swim.. exercise etc..) because of spring break for the local kids so we will see!! This was supposed to be a vent (wrong thread) I am NOT okay with winter. Lol Yeh, I was wondering what was so great about more snow. IT'S almost April!! Where are you in Wisconsin? Feel free to PM me if you don’t want to post your location openly.. I “might” have a question for you... lol! Typed my answer but changed my mind on having it out there. I’ll just pm you. The weather is slowly getting warmer, which makes it easier to get outside. A FULL house for the first time in a year!! Starting to prepare for our 8 day cruise in June. Started 2 new kids today. One 4 yrs old the other 2 yrs old. BOTH ate fantastic and BOTH are sound asleep. I know it can to other way just as quickly but I've always believed (or told myself anyways) that if a child eats well and sleeps well, I can fix/deal with anything else. I should mention we eat A LOT differently and rest here A LOT differently than a lot of places so if neither child balked at either activity, I think they'll work out just fine. Did a complete rearrange of my room last night and this morning. It's amazing how you can't see how much things aren't working until you fix it. The little guys have MORE range, the older kids have two nice spaces for play with small toys, arts, building, etc... And I can more easily control which toys are "out" and accessible.